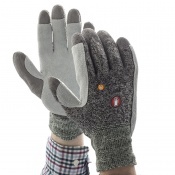 The Kevlar Sleeve KKSL features DuPont Kevlar yarn which combines high strength and cut resistance into a soft flexible yarn. 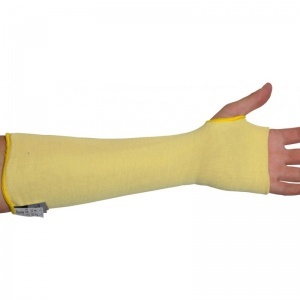 The Kevlar Sleeve KKSL has a double layer construction of DuPont Kevlar yarn for enhanced protection. 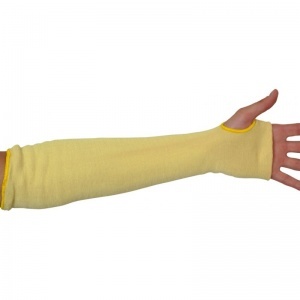 The Kevlar Sleeve KKSL is available in 4 different lengths to match safety requirements. The thumb slot cut out of the Kevlar Sleeve KKSL helps to locate the sleeve securely and also increases protection to the palm area. 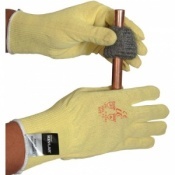 DuPont Kevlar provides heat protection to EN407 so is ideal for protection against warm objects. 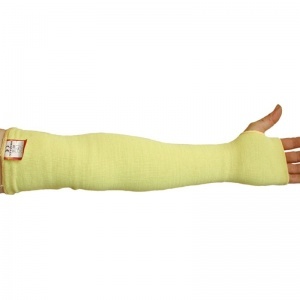 The product code for this sleeve is KKSL. 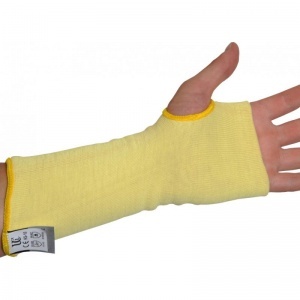 The Kevlar Sleeve KKSL is available in the following sizes: 10", 14", 18", 22". Glass artist. service good. Exactly what I wanted.